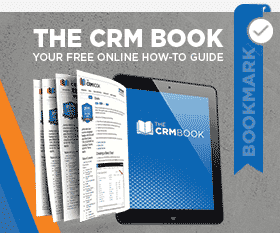 Home Tips and Tricks On-premises CRM Maximum Storage Error Be the first to comment. Are you running CRM On-premises (not CRM Online) and receiving the following error when attempting to save a record? Today’s blog will go over why this error is occurring and what the solution is. The likely cause of this issue is that the CRM organization database is set to “Restricted Growth.” By clearing this option, the issue should be resolved. Rather than manually searching for and changing this value, running the following script (replacing <DB> with the full name of the SQL database, including _MSCRM) should set the value as needed. As always, it is recommended to do a SQL backup or full system image prior to making these types of changes. For additional tips and tricks, visit our daily blog. And as always, if you need additional CRM assistance for Microsoft Dynamics 365, don’t hesitate to give us a call! by Joe D365	December 5, 2016 Be the first to comment.